A partition in a computer is logical segmentation of the physical storage space on hard drive. Hence when you delete a partition, the files in the allocated space labeled with a drive letter are also deleted. Partition loss due to deletion is peculiar because the deleted partition data does not end up in Recycle Bin. This indicates that you would need advanced methods to recover erased partition. Remo Recover Pro uses a simple descriptive user interface that implements a unique deep scan algorithm to look for deleted files beyond file system and partitions. It takes just 5 simple clicks using Remo partition recovery software to undelete partition data. What happens to a partition after being deleted? 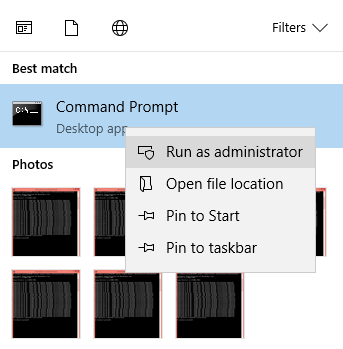 As soon as you erase a partition, the operating system of the computer removes any information with respect to data placement and addressing of the deleted logical drive. Hence important information like type of file system, partition size etc are removed from the partition table. Now, since the partition is no longer recognized by the operating system. 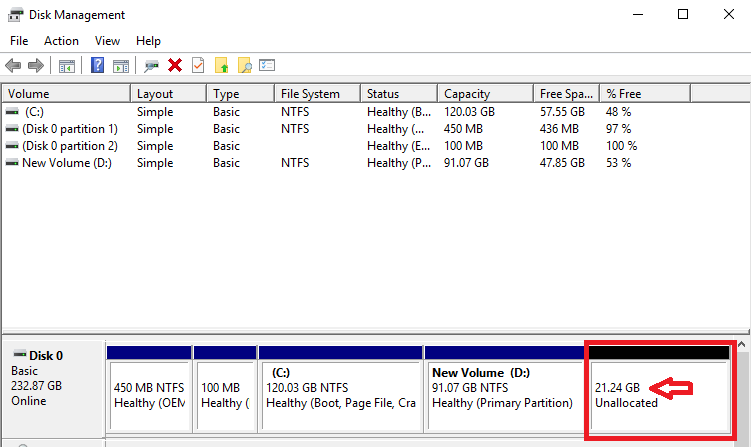 Due to the lack of above mentioned information, the partition space is labeled as unallocated. This unallocated space consists of all the partition data and remains that way until a new partition is created with a new file system (reformatted). Hence you can recover data from deleted partition in Windows 10 as long as the deleted partition is not overwritten by new drive information. 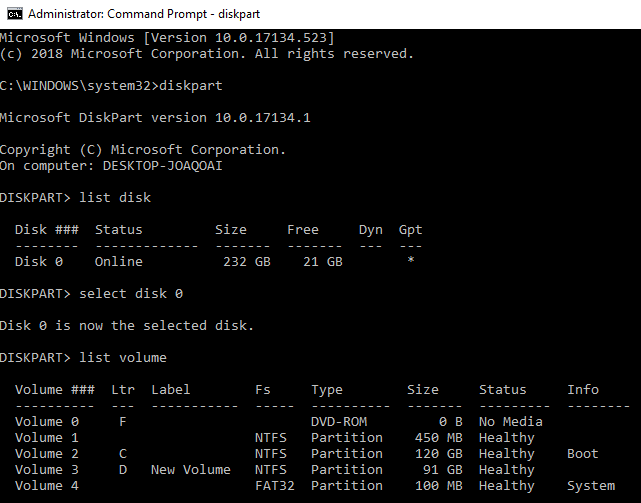 How to recover deleted partition using Command Prompt? Although command prompt is quite complex in terms of utilization, it can prove quite effective in order to undelete a partition. Usage of Disk Management is one of the most common practices involved in erasing a partition. As explained above the unallocated space corresponds to all the previously existing data on the partition. 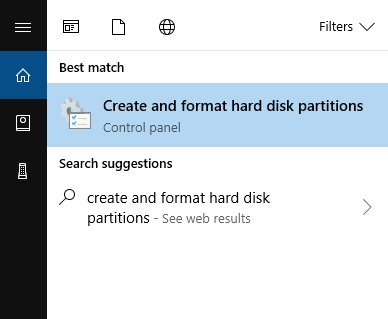 Type in Create and format hard disk partitions in the search box on the task bar and select the option from the suggestions that reads the same. 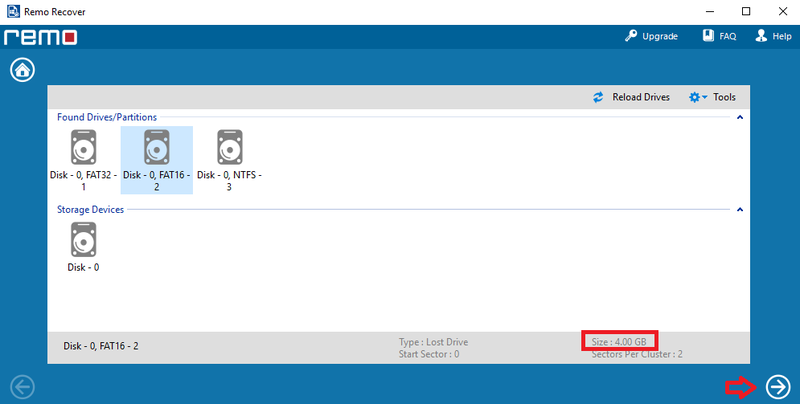 Now a Disk Management window opens up listing all the logical drives including the deleted partition as unallocated space. Make a note of the partition size named as unallocated. Type listdisk which populates all the physical disks attached to the computer.Now from the listed disks choose the disk that had the deleted partition using the command select disk x where “x” refers to the number in the list. To find the deleted partition we shall be using the command list volume which will list all the partitions existing on the selected disk. From all the listed volumes find the deleted volume from the list by referring to the size noted down in third step and use the command select volume y (y is the number of the deleted volume listed in the computer). Now to recover partition in Windows we will use the command “assign letter=k” to let Windows 7/10 recognize it so that recovered data from deleted partition can be accessed using file explorer. As CMD is a command based tool, performing desired operations for a novice computer user may be challenging. Operations on disk management such as the one above have to be performed with utmost caution as there are very high chances of data loss or OS corruption. The deleted partition is not seen in the system if it has a GPT style boot partition and you will not be able to recover partition using CMD in this case. Designed with a robust code that can search data existing on hard drive without the help of partition table or file system reference, Remo Recover can easily locate deleted partitions on both external and internal hard drive and list them for recovery. The software is powerful and an integrated solution for data recovery after deleted partition, reformatted partition and re-partitioned drives. This partition recovery tool lets you filter the recoverable data with the help of file type view or data type view. You can also use Smart Scan, a unique feature that looks for deleted partition data on hard drive sector by sector. Step 7: Lastly the recovered data from deleted partition is listed in the form of files, choose Smart Scan if you need a deeper scan or mark the files you wish to recover and save them to a location by browsing the hard drive location.